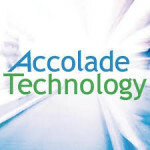 Mansfield, MA, Feb 22, 2013 – Accolade Technology, a leading supplier of FPGA based packet capture and processing adapters today announced the first of its ANIC-K3 series of high density PCI Express Gen 3 adapters. Accolade’s K3 series leverage the benefits of 8 and 16 lane PCIE Gen 3 to enable data transfers of up to 128 Gbps across the PCI Express bus. The K3 series will debut in early April 2013 through Accolade’s ANIC-40K3, the industry’s first PCIE Gen 3 FPGA based Packet Capture and Application Acceleration adapter capable of transferring 40 Gbps across the PCI Express bus. The ANIC-40K3 will feature quad 10 GigE ports over 8 PCI Express Gen 3 lanes with 8 GB on board DDR3 DRAM buffer. Ideal for IDS, DPI, Network Forensics, Load Balancing and Flow Analysis applications, the ANIC-40K3 is based on Accolade’s Advanced Packet Processing (APP) version 5.0 engine. The APP version 5.0 is implemented in a State-of-the-Art FPGA introducing unique features including Hash Based Packet Classification supporting up to 48 million flows, Traffic Management and De-duplication. “The K3 Series positions Accolade as the Technology leader in high density FPGA based Packet Processing adapters which serve demanding applications requiring uncompromising traffic analysis, scalability, and throughput,” said Robbie Dhillon, CEO of Accolade Technology. “Our Network Security and Monitoring OEM appliance customers are ready to deploy Accolade’s K3 products by merging their unparalleled packet analysis capabilities along with PCIE Gen 3 throughput,” commented Billy Bath, CEO of Iron Systems. Please visit Accolade’s exhibit at the upcoming RSA Conference 2013 in San Francisco, February 26-28, Booth # 126.